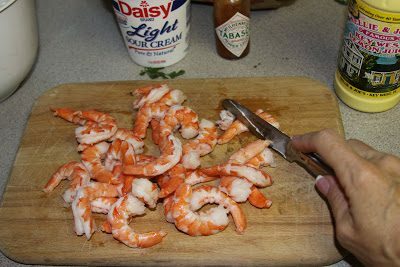 Peel shrimp and devein if desired. Chop shrimp. 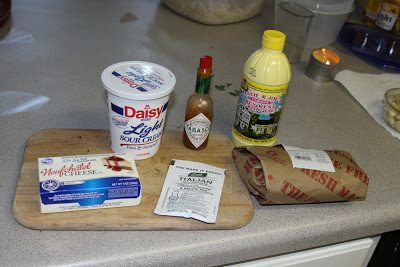 Stir together sour cream, cream cheese, lemon, Italian dressing mix and hot sauce. Cover and chill 8 hours. 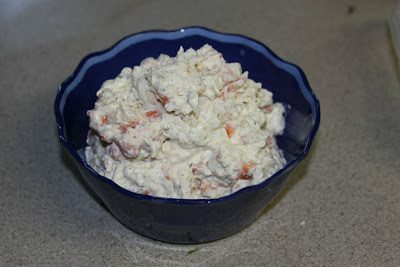 Serve with celery, carrot sticks, potato chips and/or crackers.